Ulster slumped to a 38-7 defeat in Dublin as Leinster secured a provincial clean-sweep over the festive period. Jordan Larmour and Fergus McFadden scored two tries apiece as Ulster fell to another demoralising derby defeat. After also beating Munster and Connacht in recent weeks, the Blues are now within two points of leaders Scarlets in Conference B of the Pro14. Ulster must now turn their focus towards their vital Champions Cup match against La Rochelle on Saturday. 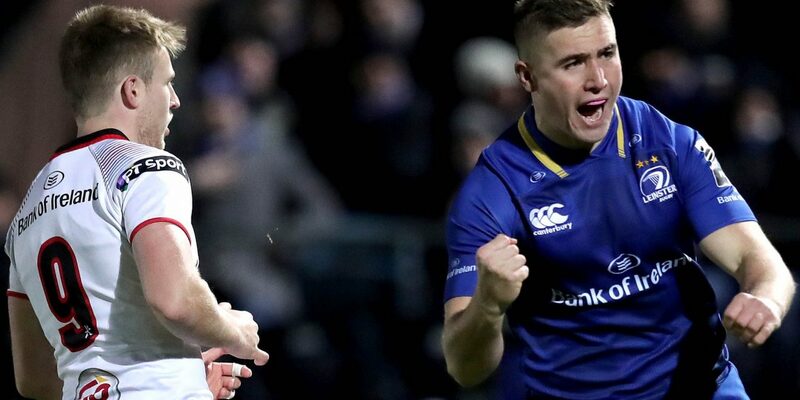 Despite a bright start by Ulster, who are third in Conference B, it was Leinster who made it onto the scoreboard first as Larmour added to his growing reputation with another try in an inter-provincial fixture. The full-back, who scored a superb solo try against Ulster at the Kingspan Stadium in November, showed superb footwork to dance past an attempted tackle after McFadden had come off his wing to create a hole in the Ulster defence. It took Leinster just 10 minutes to add to their tally after a slip by McFadden denied him the chance to score a try but the hosts recycled quickly and Daly showed impressive strength to hold off an attempted tackle by Charles Piutau and score in the corner. Leinster’s third try came after a strong start to the second half. Larmour, who had a score ruled out by the TMO just minutes earlier, made the initial break up the left wing and Leinster moved the ball quickly to create an overlap for McFadden, who wrong-footed Stockdale to score. Leinster secured the bonus point in the 52nd minute with an end-to-end try. 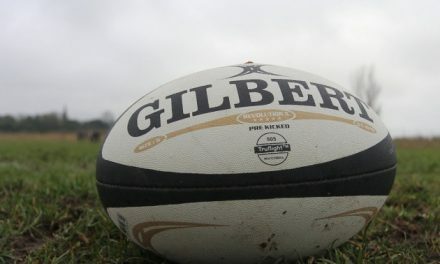 A turnover on the Leinster five-metre line saw substitute prop Andrew Porter bulldoze through two attempted tackles before off-loading to Jamison Gibson-Park, who quickly passed to McFadden for a scintillating score. The match lost some of its spark as both coaches emptied their benches but Larmour capped another impressive display with his second try. Ulster-bound flanker Jordi Murphy made an initial break through the visitors’ defence before a cut-out pass from Johnny Sexton and quick hands by Robbie Henshaw created the space for Larmour to score. Ulster finally got onto the scoreboard in the 73rd minute as Stockdale fell over the line following an incisive break by Tommy Bowe and a basketball-style pass by replacement fly-half Johnny McPhillips. 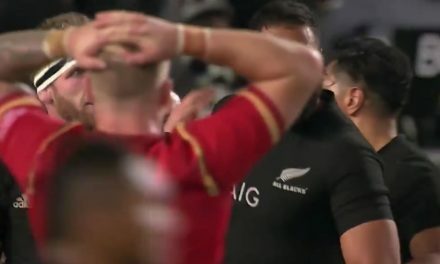 There was still time for Sexton to score Leinster’s sixth try in injury-time as the Ireland and Lions star finished off a counter-attack to complete the rout. Leinster: J Larmour; F McFadden, G Ringrose, R Henshaw, B Daly; R Byrne, J Gibson-Park; J McGrath (capt), J Tracy, T Furlong, D Toner, S Fardy, Josh Murphy, Jordi Murphy, J Conan. Replacements: S Cronin (for J Tracy, 27), E Byrne (for J McGrath, 58), A Porter (for T Furlong, 41), M Kearney (for D Toner, 67), M Deegan (for J Conan, 61), N McCarthy (for J Gibson-Park, 67), J Sexton (for R Byrne, 58), N Reid (for G Ringrose, 59). Ulster: C Piutau; A Trimble, D Cave, S McCloskey, J Stockdale; C Lealiifano, J Stewart; C Black, R Best (capt), R Ah You, P Browne, I Henderson, M Rea, S Reidy, J Deysel. Replacements: R Herring (for R Best, 65), K McCall (for C Black, 62), W Herbst (for Ah You, 50), A O’Connor (for P Browne, 54), N Timoney (for S Reidy, 57), J Cooney (for J Stewart, 55), J McPhillips (for C Lealiifano, 54), T Bowe (for C Piutau, 54).